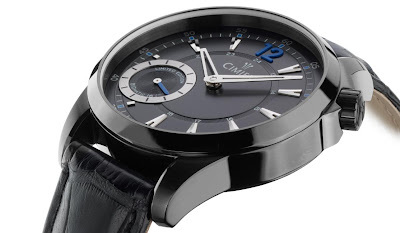 Not a brand you hear a great deal about, but another of those Swiss brands that quietly and efficiently go about their business of producing quality watches in a wide variety of models. The Cimier Bigmatic is black, strong, confident: an impressive work of blackened metal. The deep black PVD covered 316L stainless steel case certainly makes an impression with its imposing 43mm size. 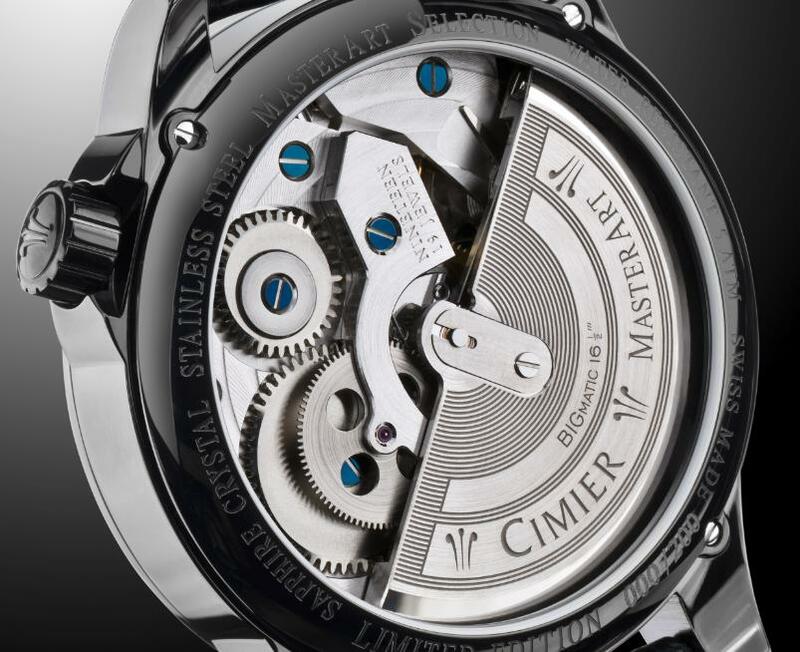 The watch is powered by a Unitas calibre ETA 6497-1 with a 53 hour power reserve. With AR-coated sapphire crystal, a sapphire display back, the watch is water resistant to 50 metres. The timepiece comes with a dark-toned dial, touched with blue accents. It ensures central hours and minutes as well as small seconds, indicated in the counter between 7 and 9 o’clock. The Bigmatic will be limited to just 200 pieces, so it will certainly be a talking point on your wrist. Founded in 1924, the Cimier crest reflects what the Cimier company logo graphically implies. From the knights of the Middle Ages to the officers of past centuries, high-ranking men decorated their helmets with plumes. Functionality and elegance went hand in hand. 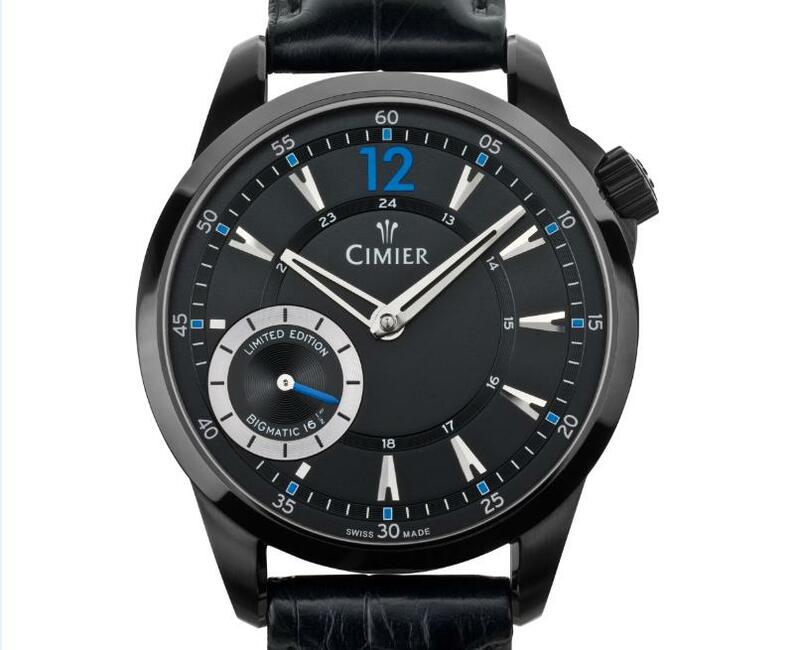 This complies with the Cimier brand promise, of quali ty and workmanship that always lives up to the standards implied by a Swiss made watch. Cimier design never follows fashion - it is timeless. The brand makes a wide range of both quartz watches and mechanical models with the emphasis on an attractive price-performance ratio.